Large Zucchini sliced into long strips, sprinkled with garlic, sea salt and pepper. All natural mozzarella or provolone cheese. 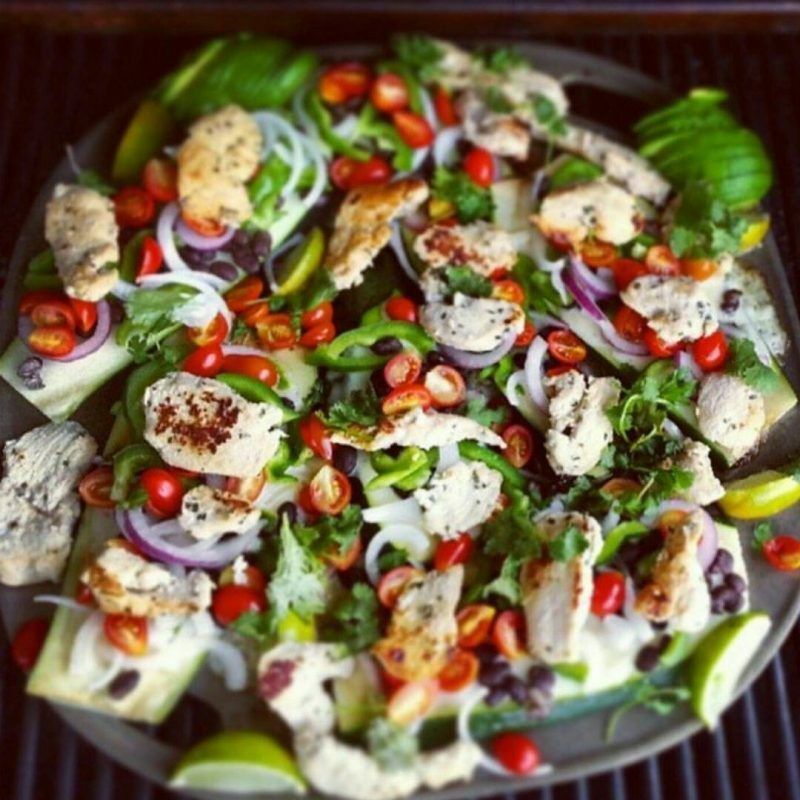 Cherry tomatoes,🍅 red onion, bell peppers, grilled chicken, avocado, cilantro leaves, and lime. Grill, or bake on medium-high heat until everything is hot and bubbly.